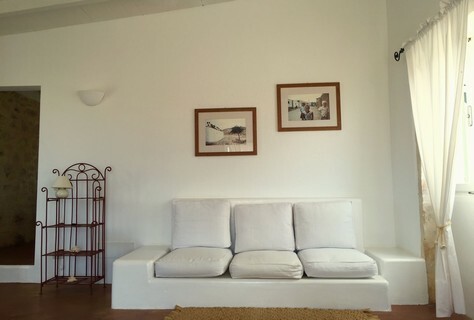 Apartments in Boavista, the Cape Verde apartments of Spinguera. 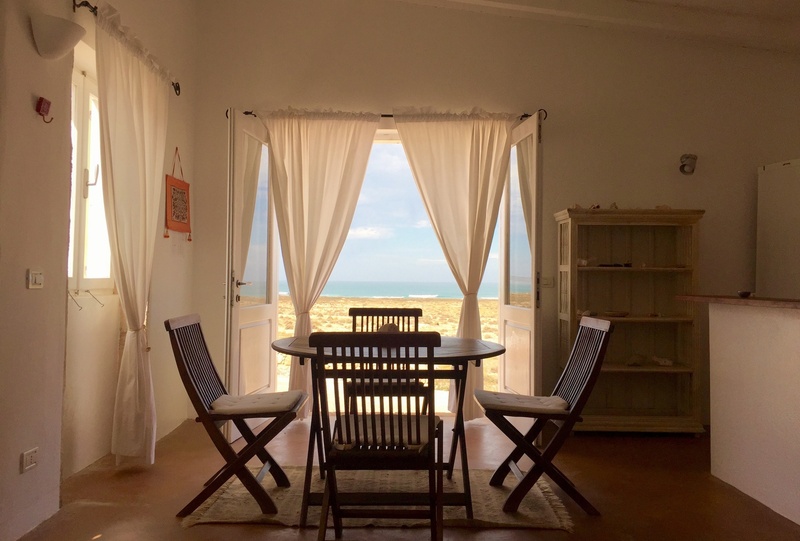 The apartments in Boavista consist of a living room with a kitchen, breakfast bar, round table in teak, built-in sofa. The bedroom is with double mattress (160x190cm) with concrete base must be placed two single mattresses. Concrete floor with colored pigments, natural stone walls. From the living room a door window at swing frames the view of the ocean. The bathroom has a shower and window, bio amenities. The use of the hairdryer is not allowed, there are special low-power hairdryer on request. 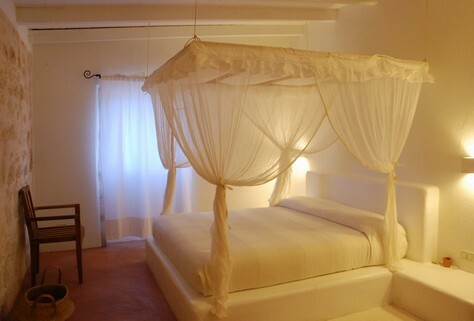 The bedding is 100% cotton, white, high quality Italian. In the rooms there are two beach towels and a custom beach bag in natural cotton. 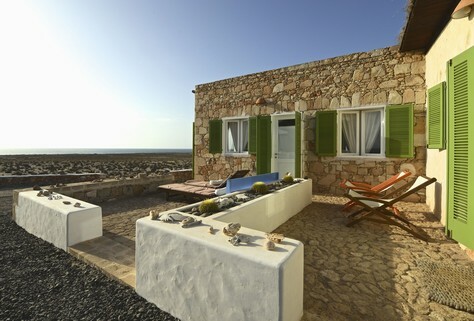 The terrace overlooking the sea are to welcome two wooden sunbeds. The apartment is about 55 square meters. 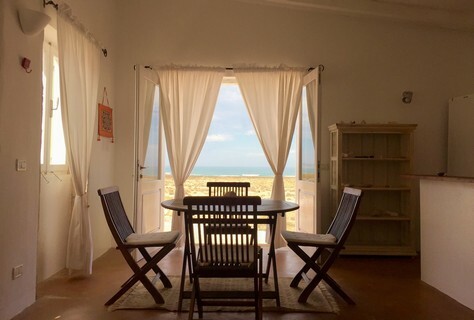 Choose your apartments in Boavista from Spinguera Hotel for your relaxing holidays.